Home > What’s The Lifespan Of Ball Pythons For Sale? A pet snake is a long-term commitment – much longer than some people actually think. While traditional pets like dogs and cats can live upwards of 15 years, snakes are an entirely different story. If you’re thinking about purchasing ball pythons for sale as pets, you should know that they live for quite a long time. And when we say long, we mean it! In the wild, ball pythons can leave up to 10 years to 15 years. However, ball pythons for sale from reputable breeders can live anywhere from 20 to 30 years when properly cared for. The record lifespan for a ball python is currently 48 years, though! That’s quite a long time to have one pet when you think about it. 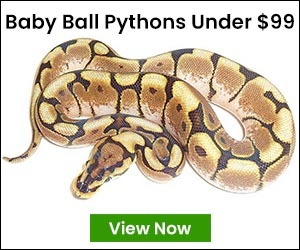 This is why you’ll really need to think twice about purchasing ball pythons for sale as pets to ensure you are ready for the commitment. Any responsible owner will know that they’re going to be in it for the long haul. Deciding that you no longer want your ball python pet after five years is not being a responsible owner. Because ball pythons live for a long time, you have to really consider their long lifespan when deciding if you should have one as a pet. Once you’ve come to terms with how long ball pythons live and still want to own one, you should buy from an online reptile store. Unlike traditional pet stores, online reptile stores have a vast variety of ball pythons for sale, including the beautiful bumblebee ball python. This brightly colored yellow and black snake is a highly sought after ball python because of its eye-catching looks. Bumblebee ball pythons keep their color and pattern as they mature so if you buy one as a baby you can rest assured that the color and patter will not fade like some other morphs. Traditional pet stores usually don’t have this popular ball python morph available. Save yourself some time and searching and buy your bumblebee ball python from a reputable online reptile store! 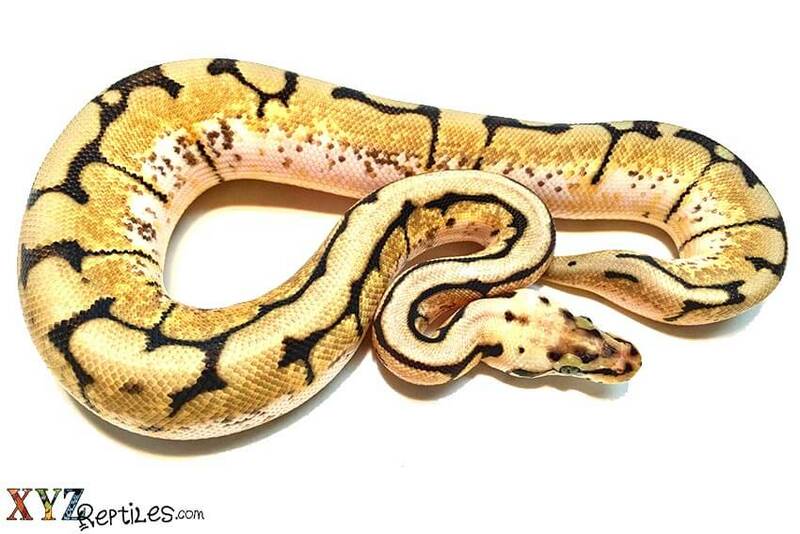 If you decide that a ball python isn’t your ideal pet, you can always find other reptiles for sale at xyzReptiles! We offer a wide variety of reptile pet options, including tortoises, lizards and boas to name a few. Reptiles make amazing pets and we offer a live arrival guarantee for all the reptiles we sell. You’ll definitely find a reptile pet you’ll love while browsing our online store!